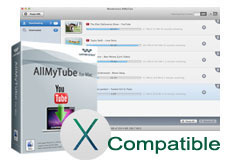 With Wondershare aTube Catcher for Mac alternative, you can download videos from more than 100 sites in one click. The supported sites include all popular video sharing sites and adults sites. See below.